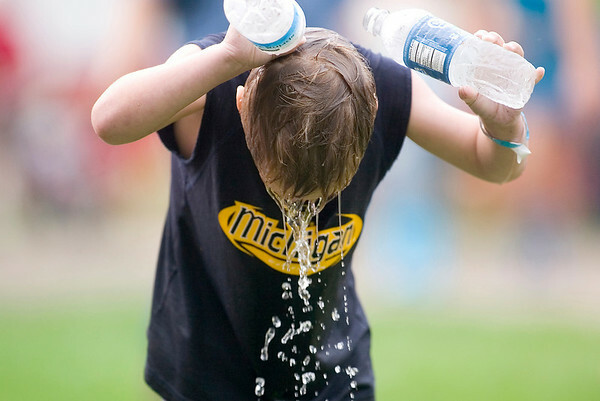 Blade Kalbfleisch, 6, of Traverse City, tries to cool himself off Sunday at the Northwestern Michigan Fair. “He’s very hot,” said his mother, Edie Kalbfleisch. Temperatures in northern Michigan climbed into the mid-80s, but the humidity made it feel like a scorcher.